The comedy of errors (and hopefully successes) as we redo our new home in Fredericksburg, VA! 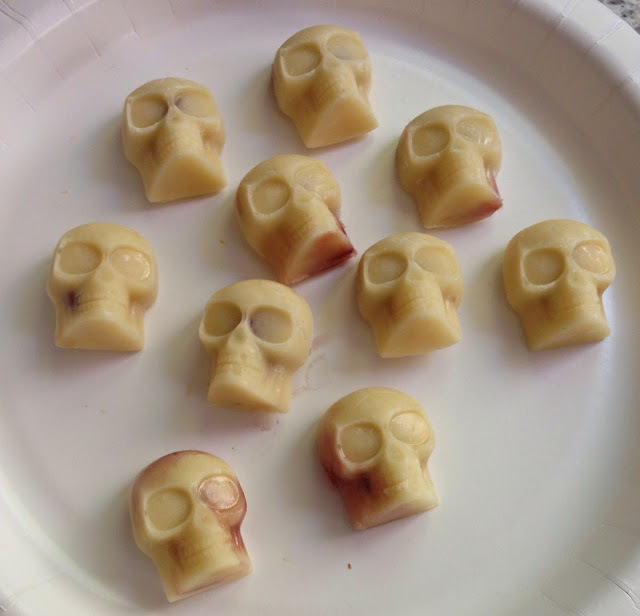 Skeleton gummies with gooey brains! I was in Dollar Tree looking for fake crystal bowls when I happened upon awesome Halloween ice cube trays. I couldn't resist. 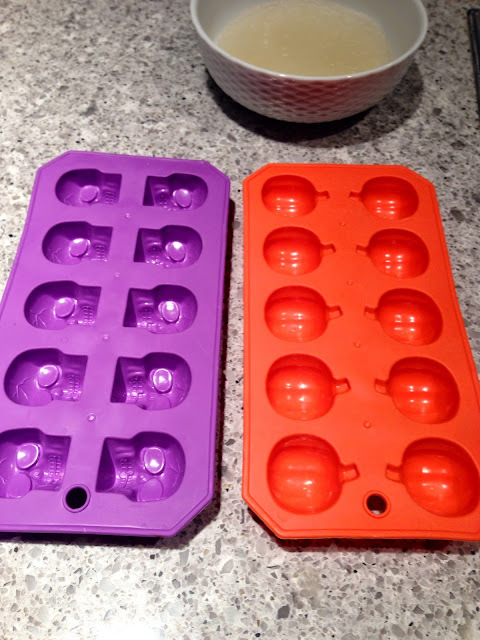 I love silicone ice cube trays to make gummies and jello jigglers! The pumpkins would be easy but I wanted something creepier for the skulls. Something a 6 year old boy would just love. So I decided to fill them with raspberry jam. As expected, they're gross looking. Husband and Son both love them. Figures. They're surprisingly simple to make though the small size of the trays make them a bit tough to work with. 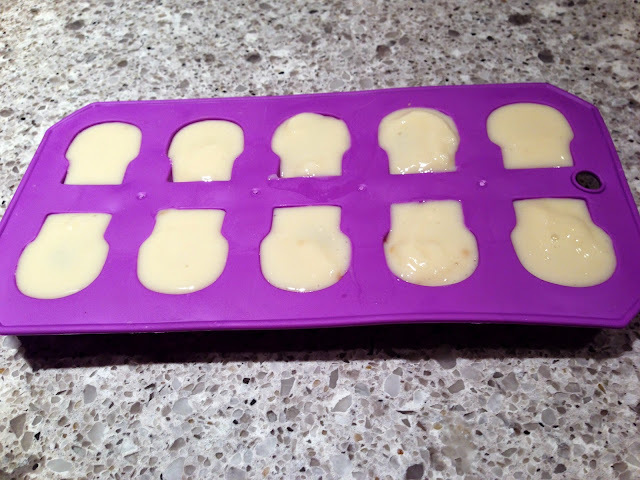 Feel free to use larger silicone ice cube trays if you can find them. I wanted opaque skulls and decided to use a Jello cheesecake pudding for the color/flavor, and Knox gelatin for the jelling. 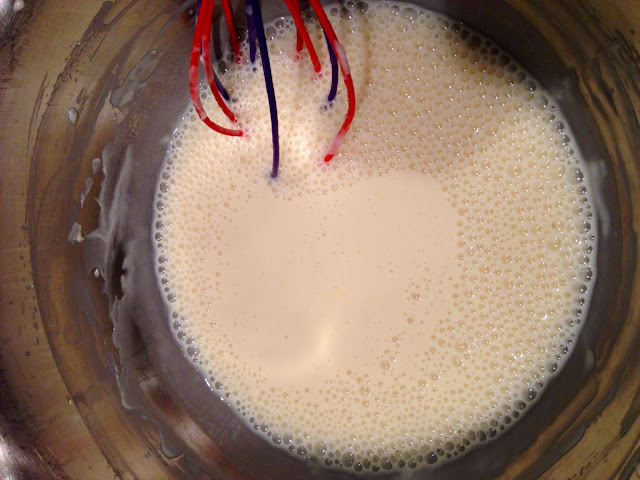 You can use any white pudding- vanilla, white chocolate, or cheesecake. 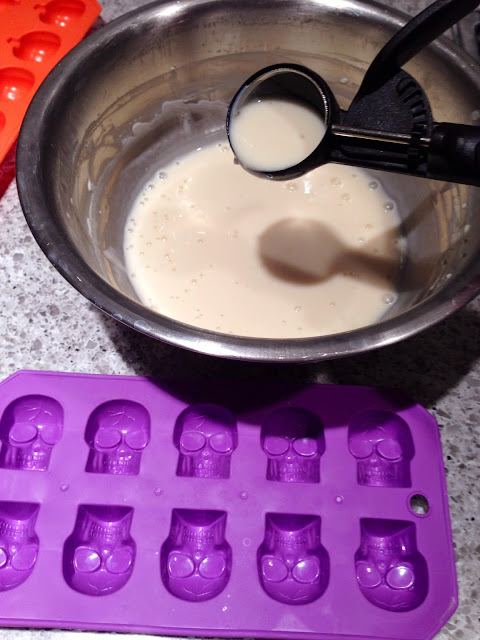 For both ice cube trays (1 pumpkin, 1 skulls) I guessed that I'd only need half a package of pudding. For once, I was exactly right. I was left with very little leftover. 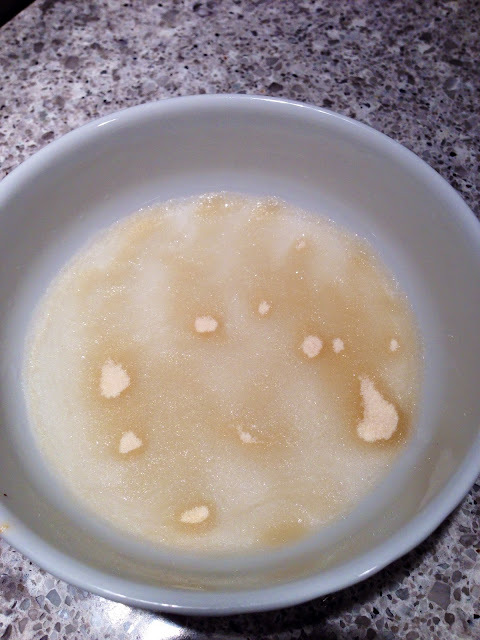 While that's setting up a bit more, let your gelatin bloom. 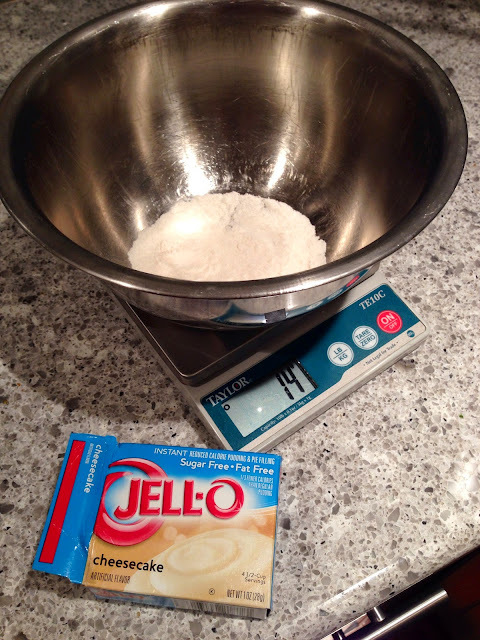 Measure ½ cup of cold water into a microwave safe bowl. 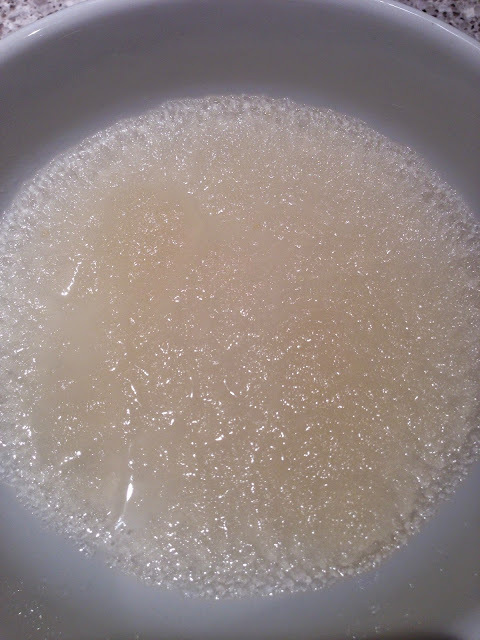 Sprinkle 1 package of Knox unflavored gelatin over the cold water and let set for 5-10 minutes until the gelatin granules are all swollen. 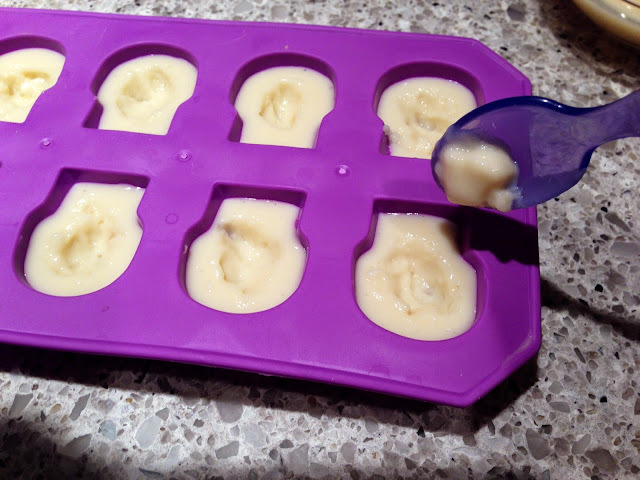 Heat the bloomed gelatin in a microwave for 5-10 seconds at a time until it's melted. 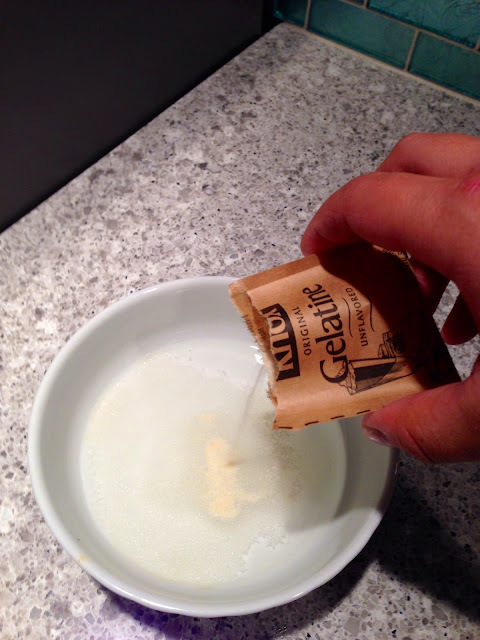 Don't let the gelatin boil. Mine only took 15 seconds. 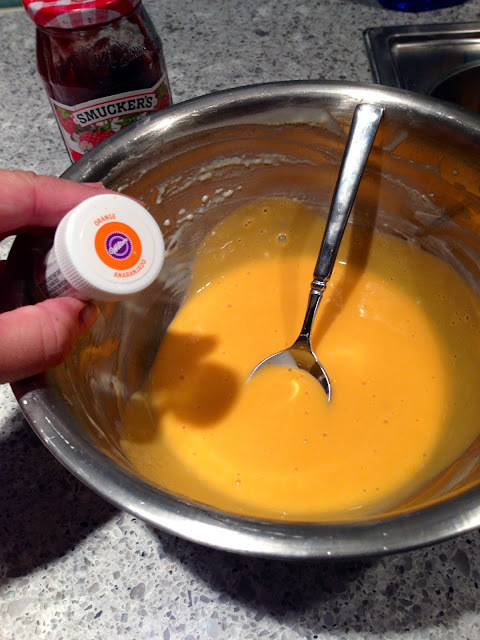 Pour the gelatin into the pudding. 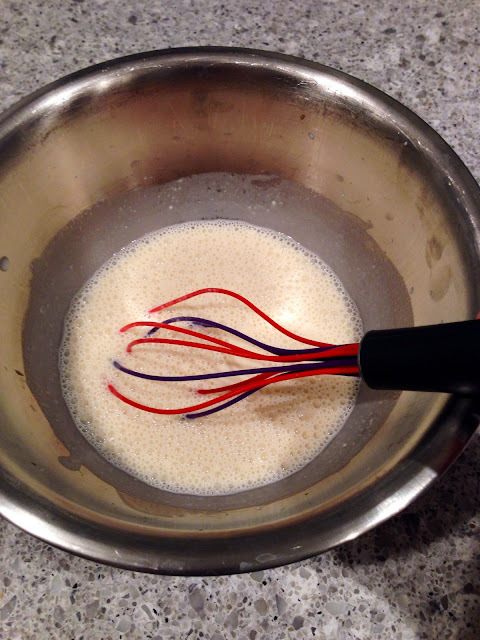 It will melt it and look like curdled milk. Stay with me- I won't steer you wrong. 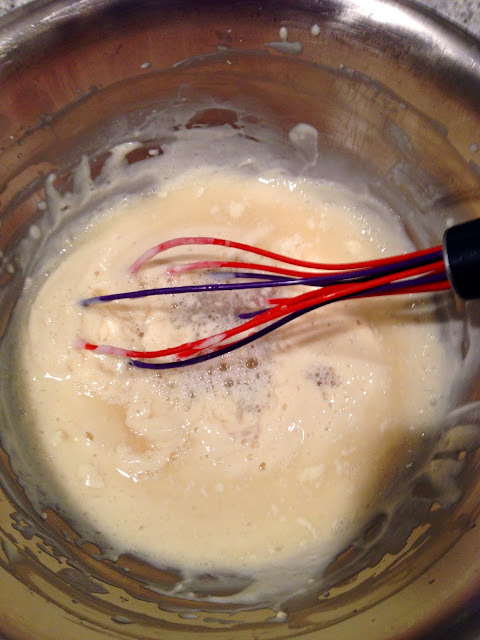 You may add a teaspoon of vanilla extract into the pudding/ gelatin mix at this point. I did. 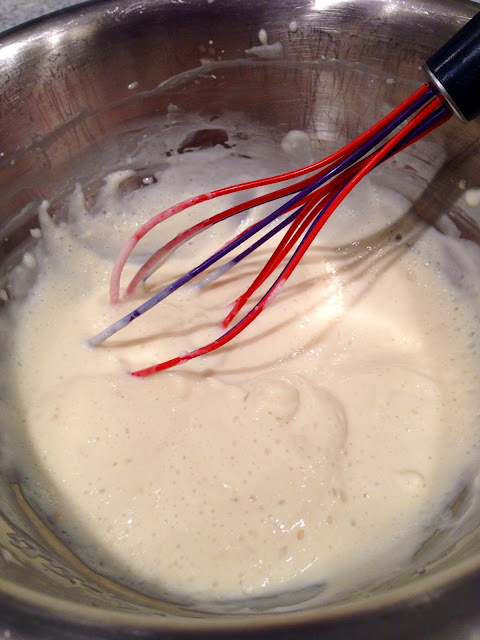 Stir it up until it's all one nice creamy, thin consistency. The bubbles don't matter so ignore them. Now grab your silicone trays. Lightly spray with cooking spray or lightly wipe with a bit of canola/ vegetable oil. Very very lightly! Fill the skulls ¾ of the way full. Put the skulls in the fridge for a couple minutes. Go fold a load of laundry, enjoy a glass of wine, or watch a couple funny YouTube videos. I'll wait. 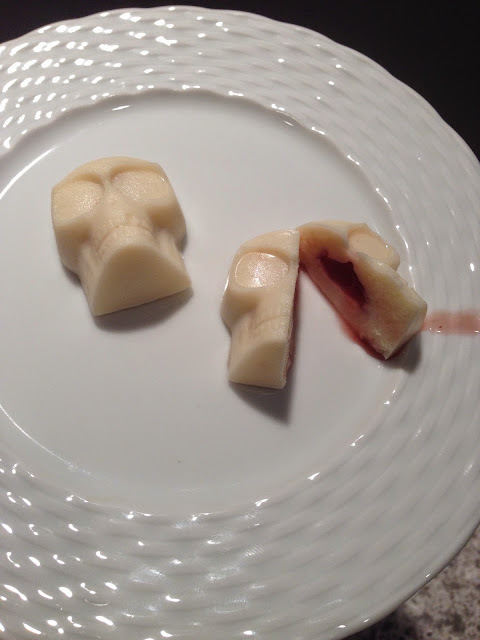 Skulls all jellied? Great. Time to move on. Use a tiny spoon to scoop out a tiny bit of skull. Baby spoons work great here! Make sure you don't take too much out of the mold or you'll be able to see the "brains" and they'll leak out. 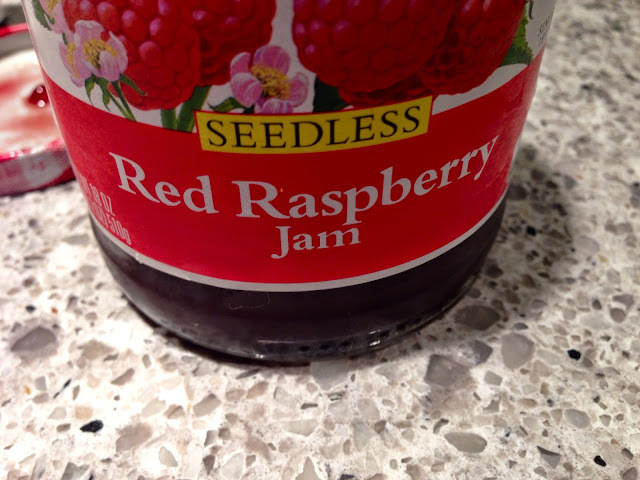 Fill the void with a tiny bit of raspberry jam. Don't overfill them. Some of mine were a bit too full and leaked. Lesson learned. 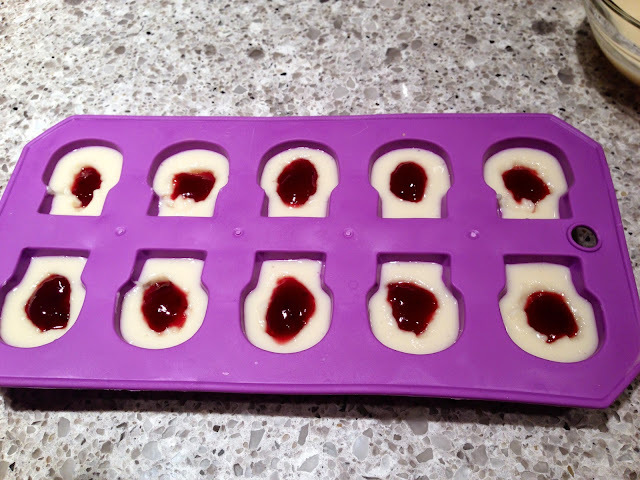 Now take the remaining gelatin/pudding and fill the molds the rest of the way. If it's too thick, microwave for 5-10 seconds. 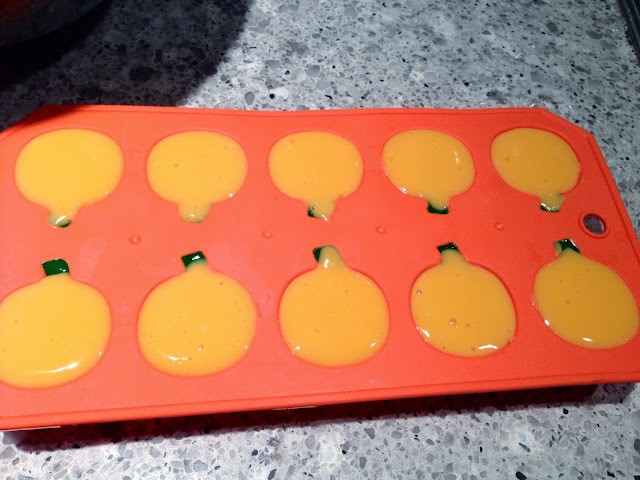 Put them into the freezer until solid. 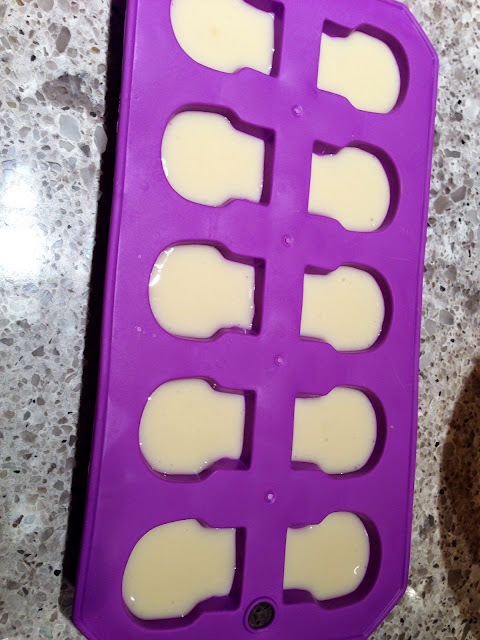 This makes them easier to pop out of the mold. Store in the fridge in a plastic container on a layer of paper towel. This wicks away any moisture as they defrost. 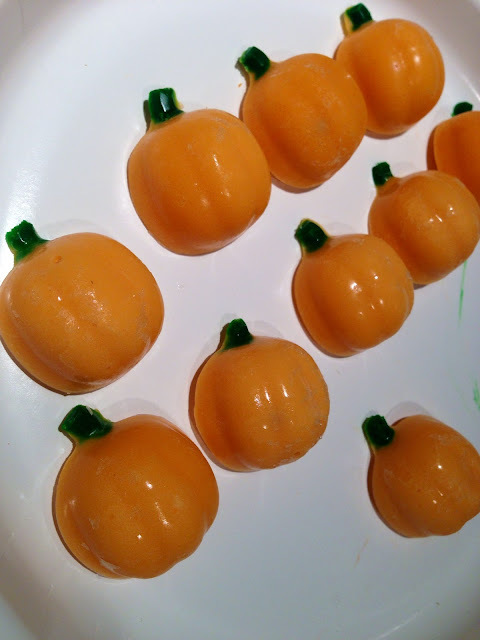 To make the pumpkins, tint a small amount of the pudding mixture green and use a toothpick to put it in the stem spot. Put in the freezer to keep the green from running. Tint the remaining gelatin/pudding orange. 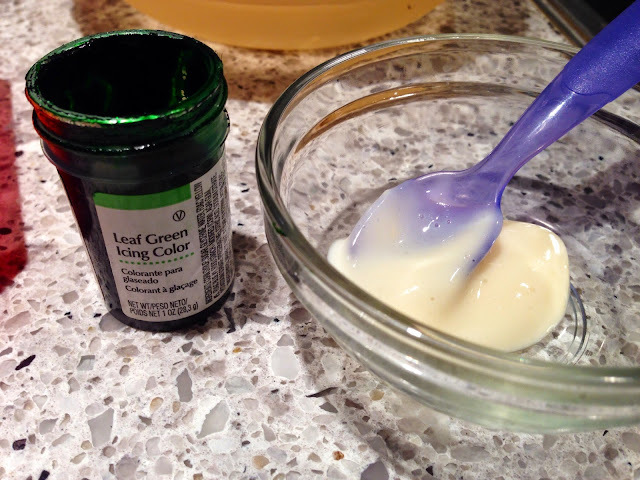 I used Wilton gel food colors. 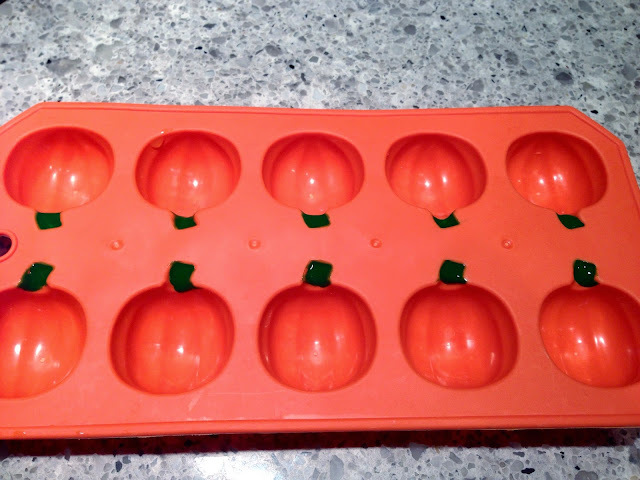 Pumpkin pie pudding would be really cool for these! 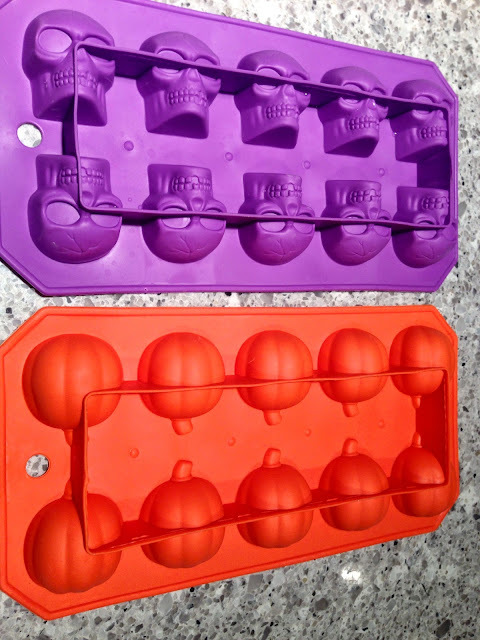 Remove the trays from the freezer, fill with orange gelatin/pudding, return to freezer until frozen, pop out and store the same as the skulls. Enjoy your Halloween treats and the high fives you'll get from your kidlets for being so awesome!